Bathroom zinc sinks are a great rustic decor idea for adding ultra contemporary and traditional ingredient to the living space. The lavatory zinc sinks are often used in a bar, restaurant and residential bathroom. 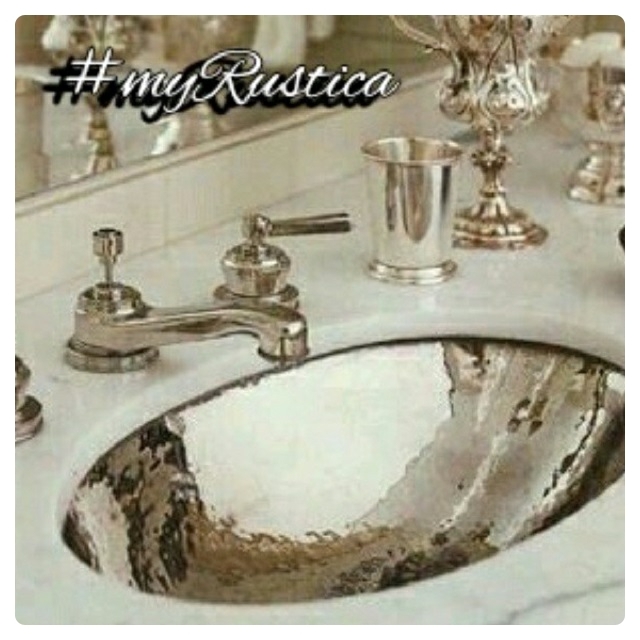 Rustica House produces round, oval and custom washbasins. Sent as a drawing with specifications and we will fabricate it for you. A brand new hand hammered zinc looks similar to nickel-platted copper, however, it is much more cheaper. The bathroom zinc sinks cost about a half the price of the other options but they will develop antique character in contact with water. They may loose its shining look and become mat.